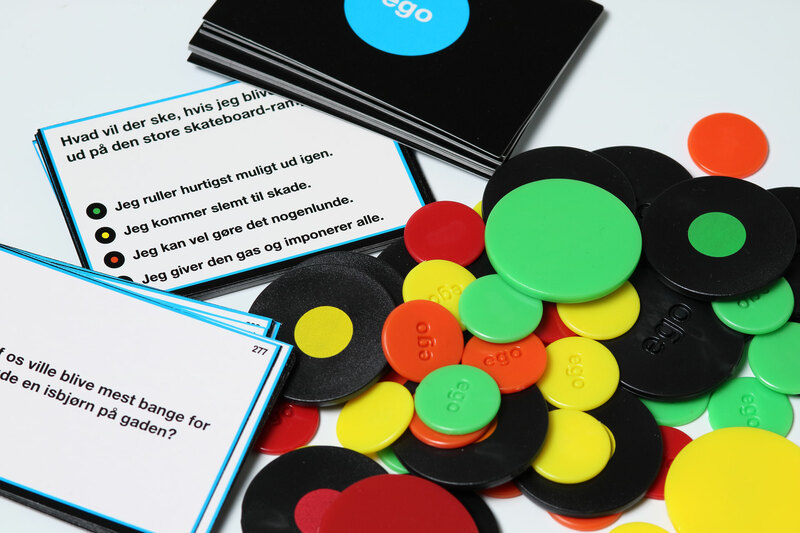 Originally EGO was a 15+ party game but in 2015 a family version was introduced and the following year it was awarded with family game of the year by the Danish Toy Council. 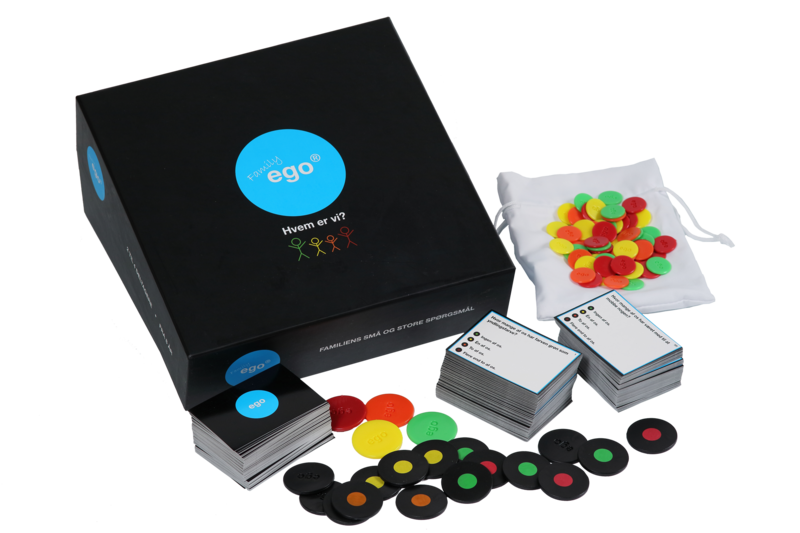 In EGO Family each player is in turn confronted with a fun, silly or serious dilemma that he or she have to give their position on. The task of the other players is to guess what the answer will be. The game is first and foremost a way to discover new things about your friends and family but it also initiates talks about subjects which are not adressed in everyday family life.